What’s better than a good cause, good food, good music, good fashion and good conversation? Having it all on the same night! 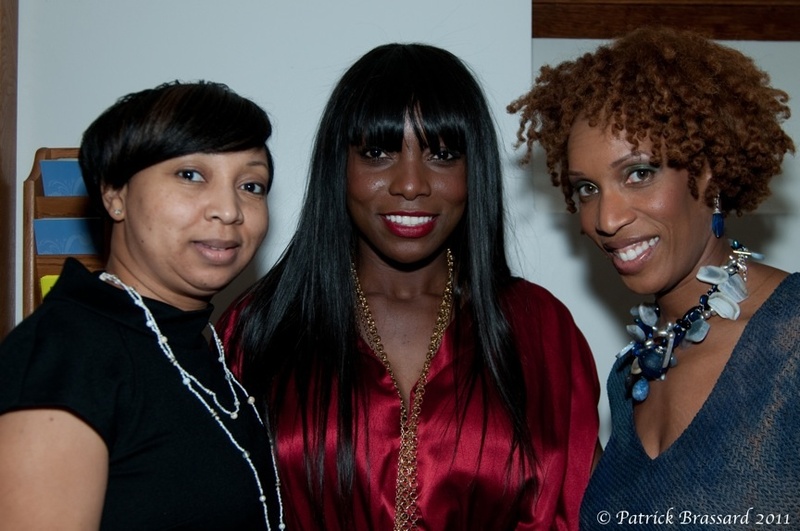 That’s exactly what I experienced Friday evening when I, along with Michelle Stoddart and Nadia Vassell, attended L’Africana™ Night New York Fashion Week Finale Party. 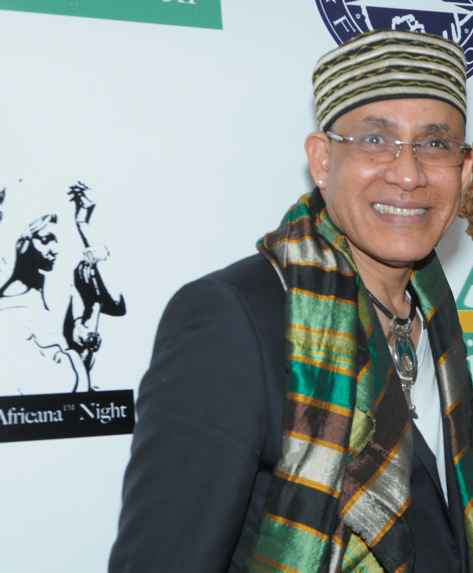 L’Africana™ Night, sponsored by Segal Family Foundation and Greylock Capital Partners, is the brainchild of MacDella Cooper, whom you met last week via my compelling two-part interview. 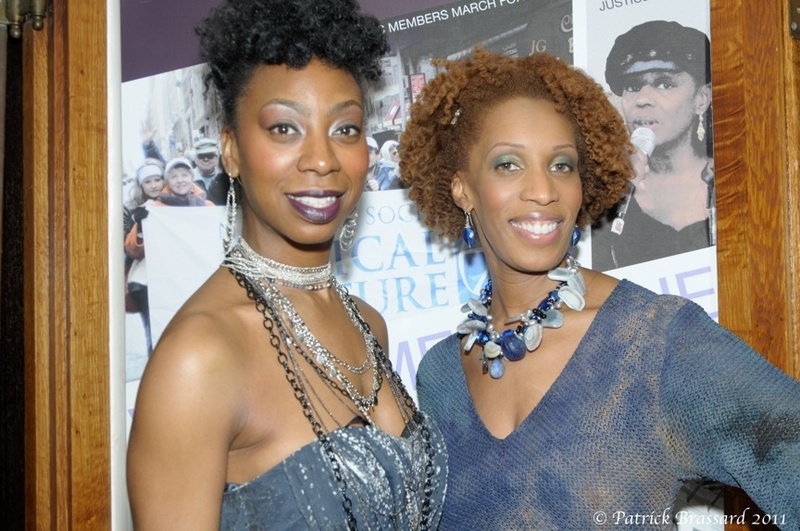 The event was created to showcase African culture, artists, designers, cuisine and musicians while raising funds for the MacDella Cooper Foundation Academy, Liberia’s first free boarding school. Patrick Brassard, my brilliant photographer for the evening, arrived ahead of me and was already holding court on the Red Carpet. If Patrick is not shooting covers for Vogue soon, something is seriously wrong! As soon as I stepped foot in the New York Society for Ethical Culture I saw MacDella; we hugged and chatted it up for a second. 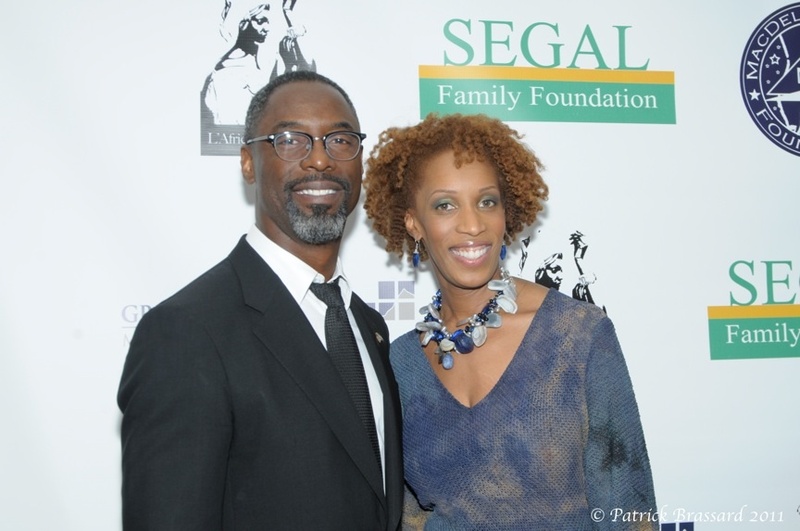 I then spotted Isaiah Washington and made a beeline. Through a friend, the prolific actor and activist had already agreed to an interview with me. Isaiah was as debonair, cool and intelligent in person as he is on TV. Read more about this “Man From Another Land” here. After snapping a few red carpet photos and making new friends, I headed upstairs to grab some African cuisine. Apparently everyone beat me to the dining hall because all of the goodies were practically gone. I did manage to cop two pieces of this extra yummy banana bread from Taste of Africa; I’m still thinking about it. 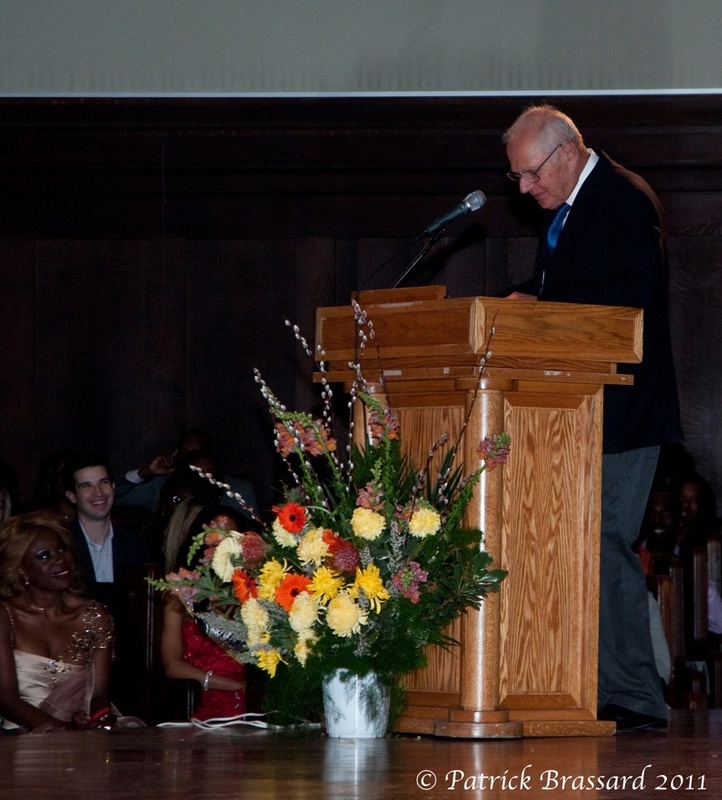 Isaiah was our Master of Ceremonies for the evening, guiding us through award presentations for honorees Barry Segal, Basila Bokoko and Anna Schilawski as well as performances by many gifted artists like former C + C Music Factory chanteuse Zelma Davis, Fela! 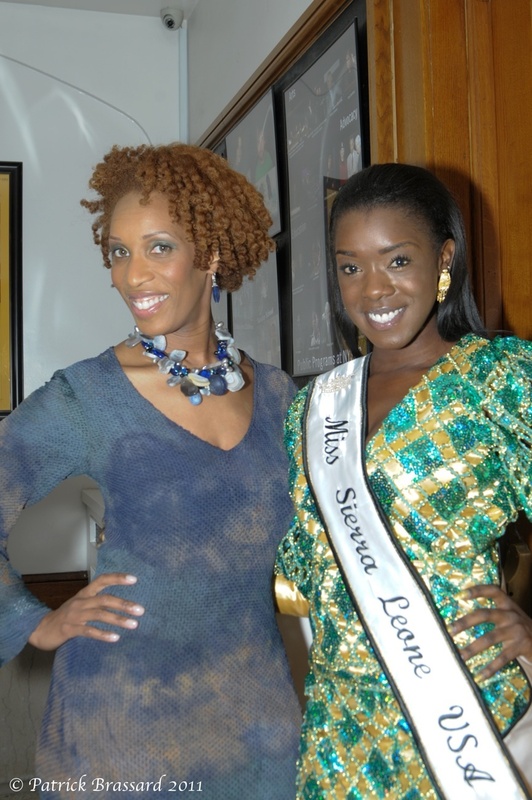 Star Saycon Sengbloh (if you haven’t seen Fela! run, run as fast as you can! 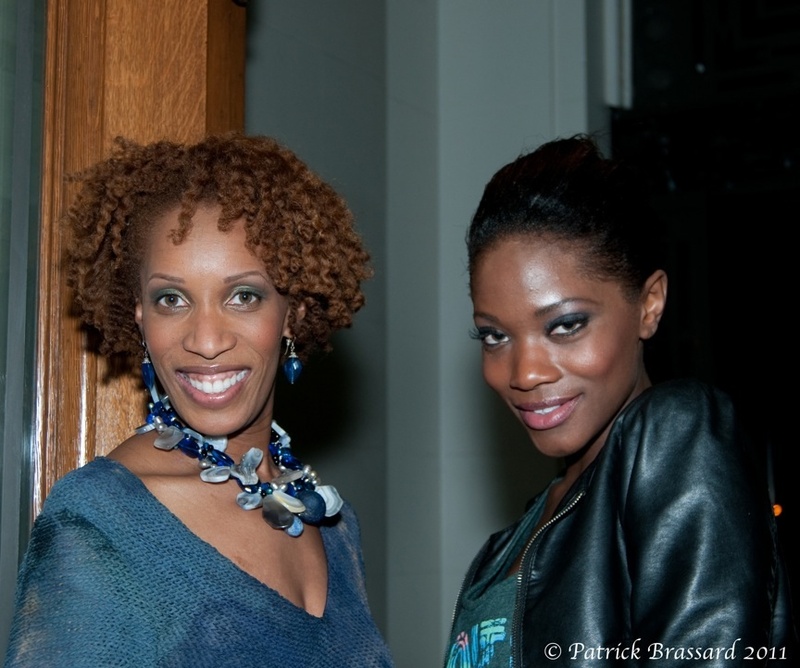 ), Rachel Fine and Liberian Pop singer 2C. 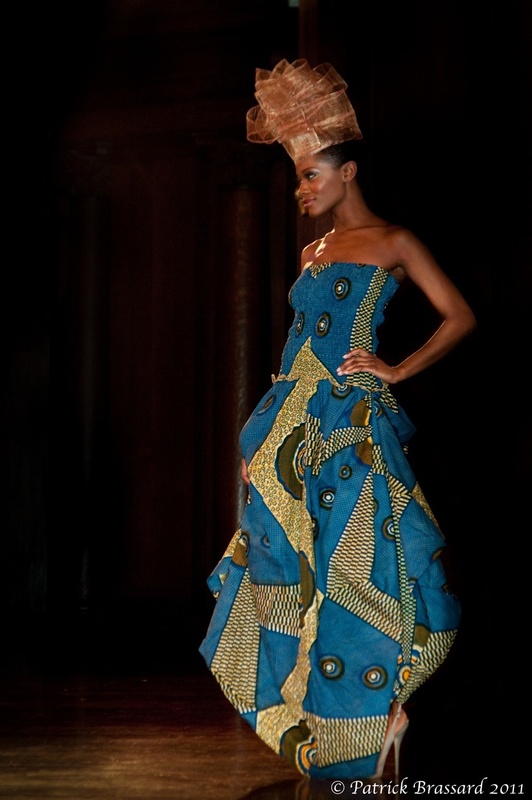 The highlight of the event was the L’Africana™ fashion show. Catwalk Vixens Millen Magese – the first Black female model signed to do a campaign for Ralph Lauren, Georgie Badiel, Danijela Lazarevic, Brianna Michelle, Former America’s Next Top Model contestant Aminat Ayinde, and Former “Face of Africa” Kate Aba Tachie-Menson were just a few of the models who strutted down the runway in stunning fashions by a collective of designers including Farai Simoyi, Selma Berisalic Starfinger, Taylor Forrest, and Korto Momolu, who previewed a snippet of her Fall 2011 Collection. You remember Korto? 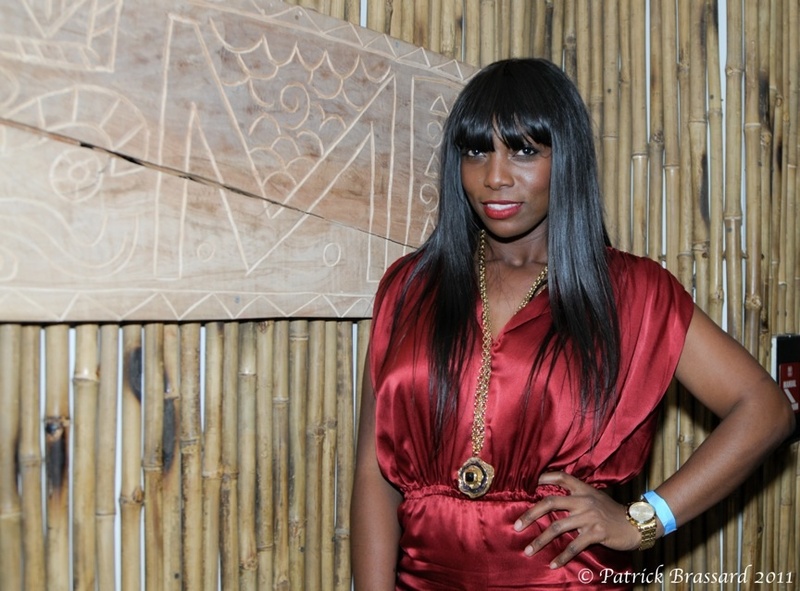 She was the designer who was robbed of first place on season 5 of Project Runway. Korto’s PR finale collection was hot and deserving of a victory; her new collection is even hotter! 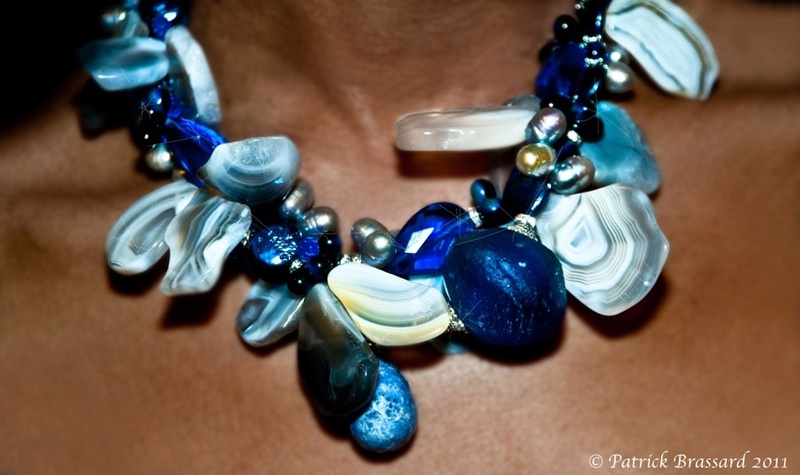 It contains a mix of dramatic, sweeping pieces that will surely command attention for any woman wearing them. I wanted everything! 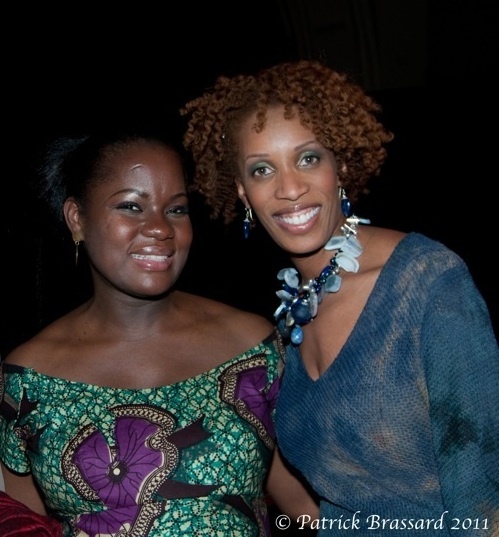 I caught up with the talented Liberian couturier after the show for a little girl talk. One of the places that we had when I was home – we would go on weekend trips with my family – is this beach. But to get there you’d have to go through all of this bush, had to go and cut down the trees and everything. I was inspired by telling that story. You know, going through all of that darkness then you get to the sand and the water. You have to go through some stuff sometimes to get to paradise. And that’s pretty much my life story; I’m still going through it, but I know its [paradise] there because I’ve seen it. What is your creative process from inception to finished product? I like buying the fabrics first and sitting there and looking at everything and then start thinking, “How can I tell my story? When you see the full collection, I’m actually going to show one in Nigeria at the Arise [Magazine] Show, I want you to see that story so when I explain it later you can say “Oh yeah I get it.” Or you might just see it without it. But how can I show this turmoil, this darkness using the color palettes and use of the shapes to create texture? 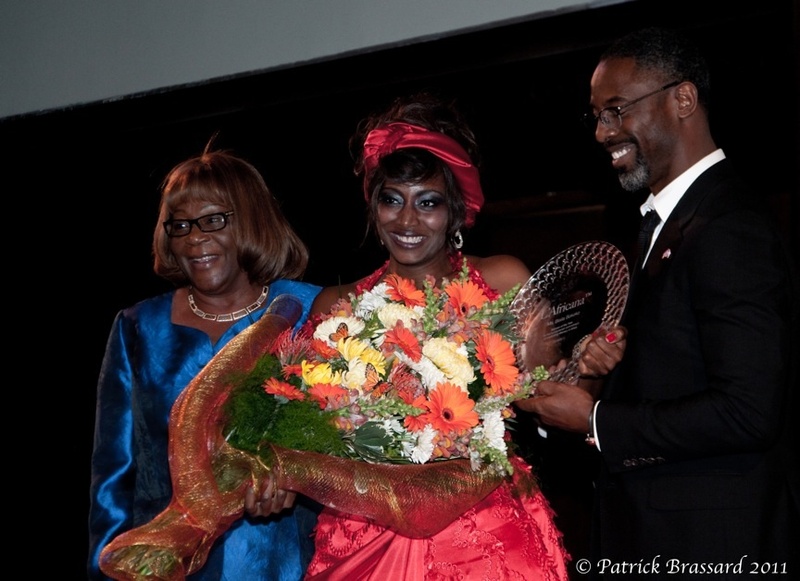 How important is it for you to participate in an event like L’Africana™ Night? so to be a part of it…And one day when I go and show my daughter and say, “This is what you do…you give back what you can. It doesn’t mean you have to have thousands of dollars, you can give back your talent, you can give back your time.” And that’s why I’m doing it. It’s definitely important. What is the one thing you can’t leave the house without? My PR hair. (Laughs) Even if you don’t have make-up, the hair will cover it. Don’t mess with a Black woman’s hair! 😉 Korto Momolu might not have gotten her just desserts on Project Runway, but she’s surely getting the recognition that she deserves now. After our conversation, Nadia and I headed to the after party at Nikki Beach. There I had a chance to meet and converse with a fashion icon, Alphadi, who is known as the “Godfather of African Fashion.” He’s such a sweet man and his designs are regal! Speaking of regal, I felt like an absolute African Queen the entire evening. Makeup Artist Extraordinaire Sherry Singleton did it again! She had my face glowing radiantly and she even convinced me to step outside of my cosmetic comfort zone. Now that’s real skill cuz I likez what I like. 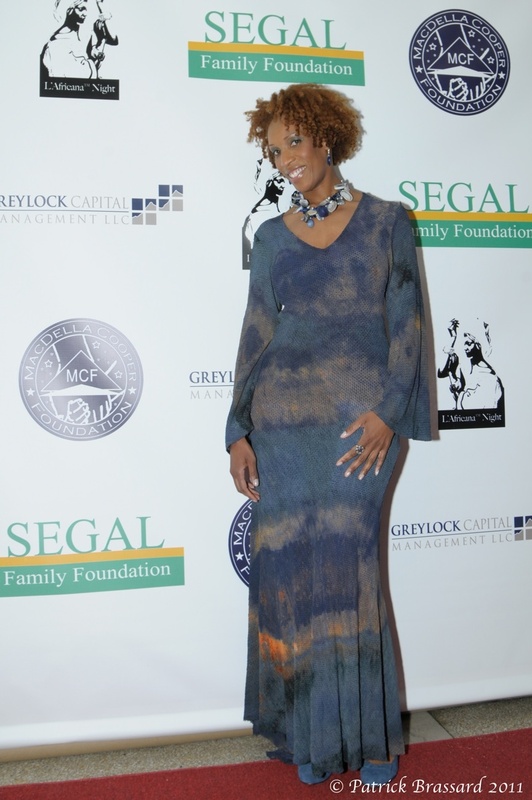 My beautiful floor-length Tie-Dye Mesh Gown was provided by African designer Raif Atelier of Brooklyn; Haby is a sweetheart for tailoring the dress to fit me perfectly! 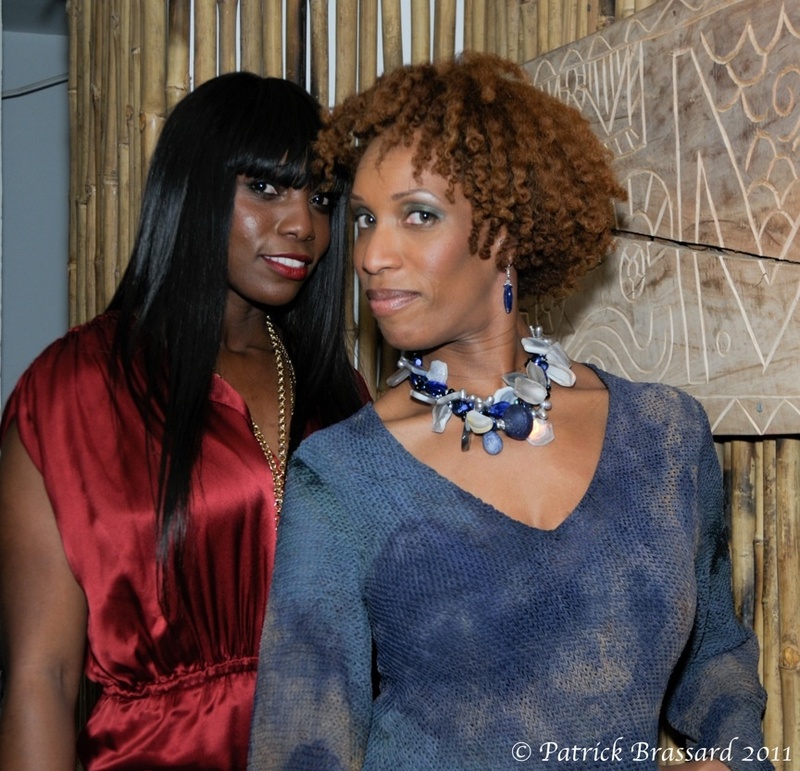 Melody Burns of Kiini Ibura Jewelry had me sparkling with blue pearl earrings and a dazzling necklace made of Ghanian glass, blue quartz, fresh water pearls and Austrian crystal. Miss Melody also supplied a reversible silk and velvet wrist purse; she is a master craftswoman! To finish my look, I wore a pair of “Blue Suede Shoes.” Elvis would be proud. A Queen needs a chariot, so hugs to Dalton Burke of Queens Care Auto Repair for keeping my vintage Beemer running smoothly allowing me to make it to my events! The evening was all that I expected it to be – meaningful, glitzy and fun! 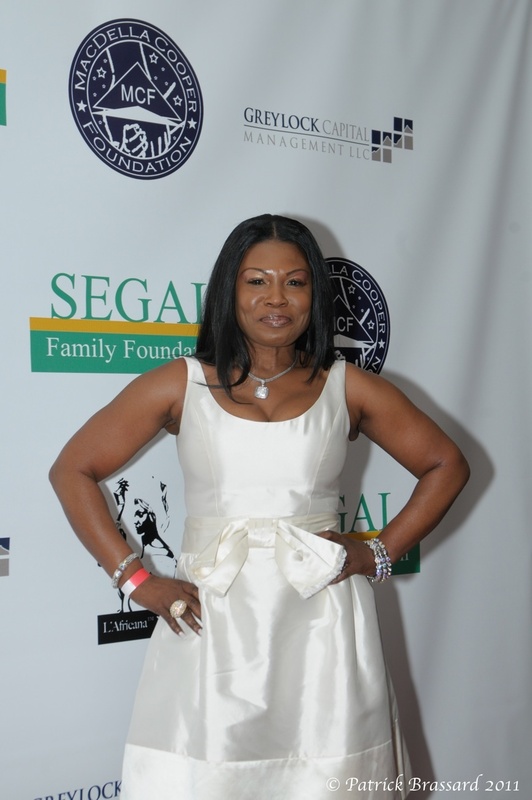 The MacDella Cooper Foundation is a wonderful organization. And the future of Liberia looks a lot brighter because of it. Even though you might have missed L’Africana™ Night, its not too late to help educate the MCF Academy children or any child in need! If you want to support any of the artists, companies or organizations featured on The Socialite Design, just drop by their websites and tell ’em Tracee Loran sent you! 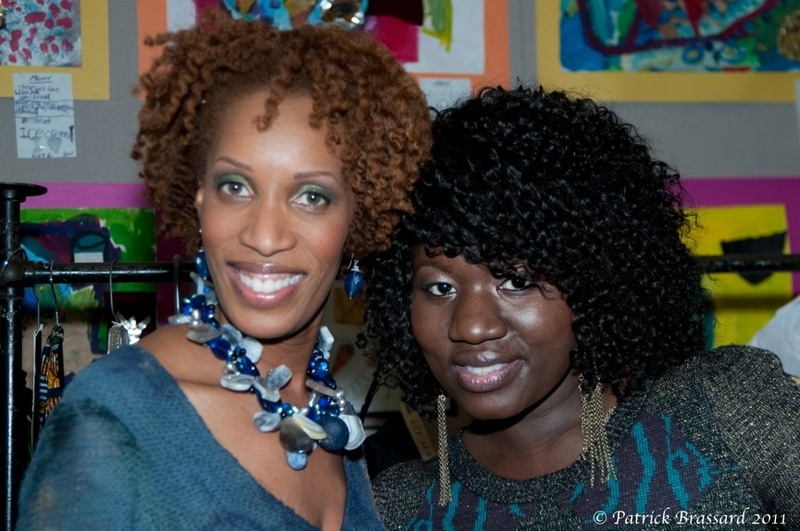 ♥♥ Special thanks to my Gurl Jodi Smith for being a staunch advocate for youth and quality education. Despite the fact that she’s in my Sweet Home Chicago she still supported the MCF cause by sponsoring a ticket purchase so someone else could enjoy the event. Kudos, Jodi! Until next time…stay radically fabulous! I must make a comment about your jewelry. It is absolutely gorgeous! The color and shape compliments your attire so well. Beautiful!!! 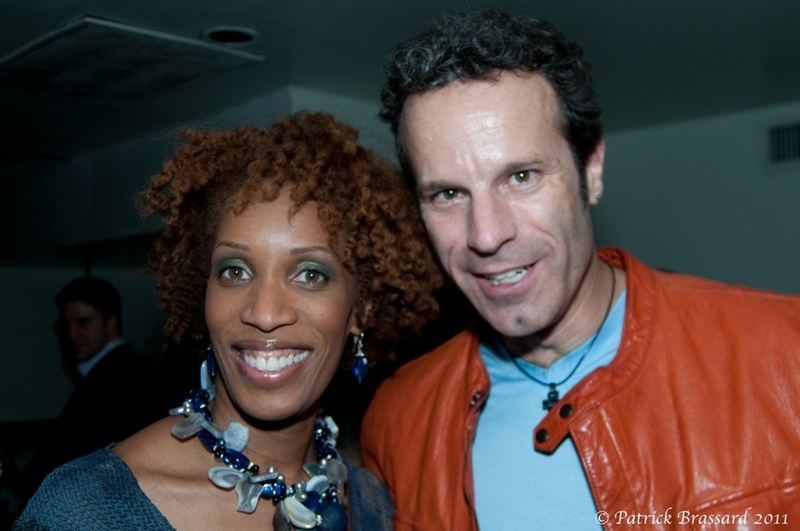 Hi Tracee, thank you for the ‘shout out’! I’m so proud of you and so happy that you put the spotlight on this foundation! These are beautiful photos- Patrick is a very talented photographer! By the way…. I definitely will be visiting the Cake Joy shop. Never heard of them. sound soooooo good!!! Thanks Teisher! Yes, their cupcakes and mini-brownies are delish!